Get CIPD qualified 100% online with a flexible schedule, unlimited 1:1 tutor support, and interest-free payment plans. As the UK's most recommended CIPD centre**, we make it easy to shape your CIPD course around your schedule. You can set your own timetable, study wherever suits you on any device, and get help when you need it with unlimited 1:1 tutor support and live online classrooms. Plus, you can spread the cost interest-free and benefit from our price match guarantee. Plans start from just £75/month. Our online HR qualifications are accredited by CIPD, the world's largest professional body in HR, and they're highly flexible so they fit around your life and job. Whether you're considering a career in HR, seeking to progress your existing HR career, or simply want to bring useful personnel management knowledge to your current role, studying a CIPD qualification with us is the first step to fulfilling your potential. You can also advance your career with our range of online CIPD Learning & Development courses. The Human Resources department is an integral part of any successful company, so there's a consistently high demand for qualified HR professionals. This means that the rewards for working in HR are great. According to the CIPD, entry-level HR officers earn on average £26,000 a year, rising to £31,000 with experience. HR Managers earn around £46,000 a year and HR Directors earn an average of £75,000, rising to upwards of £150,000 with bonuses included. 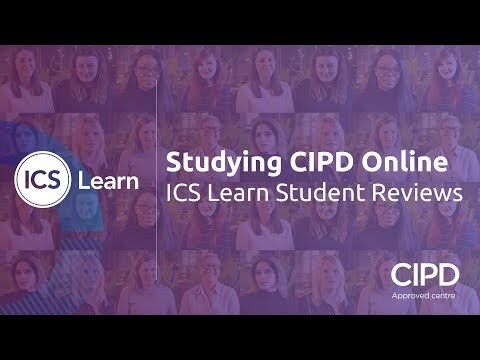 The Chartered Institute of Personnel and Development (CIPD) is the world’s largest professional body for those involved in the management and development of people. It has over 130,000 members across 120 countries, and 12,000 professionals train with CIPD qualifications and certifications each year. It's the gold standard for professional quality in Human Resources and Learning and Development. This means that CIPD qualifications are highly respected and sought-after by employers. Many hiring managers include them as a prerequisite for HR jobs, and where they're not a necessity they'll put you head and shoulders above the competition. What are Awards, Certificates and Diplomas? CIPD Awards are bite-sized qualifications which will give you in-depth knowledge of a specific, narrow subject area. They're ideal if you want to refresh, build on or solidify your existing professional knowledge of a specific aspect of HR or L&D. CIPD Diplomas are the most extensive and desirable CIPD qualifications; they cover more subject areas than Certificates, giving you a comprehensive knowledge of all topics. Need advice or looking for more information? Contact our expert CIPD advisors by email, webchat, or by phone on 0800 092 0440. We're happy to help! * Based on 18,872 assignments submitted and 18,125 passed between 1/9/17 and 31/8/18. ** ICS Learn has the highest Net Promoter Score (NPS) against its competitors amongst learners. Source: Parthenon-EY HR Employer and Learner Survey 2017. ***Data taken from a survey of 79 people who completed a CIPD qualification between August 2015 and August 2017.